Listed below is the Stanaway Roll of Honour, it is a list of those who participated (survived or died) in either the Boer War or First World War. These names include children, grand children and in some cases great grand children of John James Stanaway. We have also included spouses of female descendants in this list. A number of brothers followed each other in enlisting, and on a few occasions cousins and brothers were even on the same troop ships when they left New Zealand. 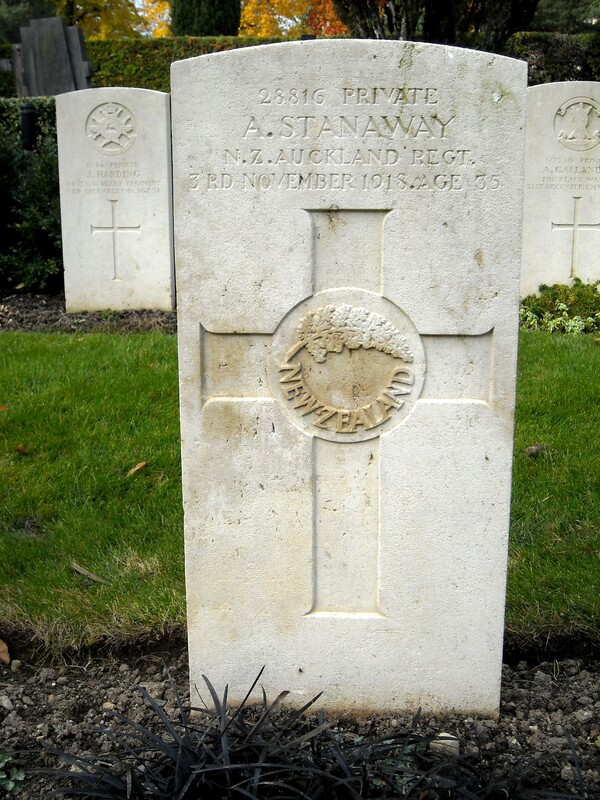 One branch of Stanaway’s (William Stanaway) had three sons and one son-in-law all on active service, two of William’s sons never returned. 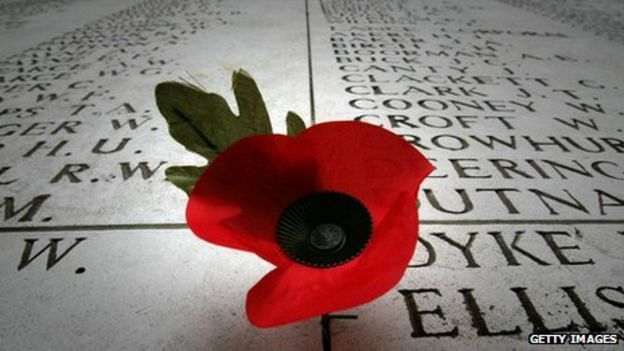 Of those who died overseas, two were killed in or as a result of the battle of the Somme, one was killed in the battle of Messines and the fourth died of disease. We have included a gallery at the bottom of this page for the four young men who did not return. Parker – George Chetwyn – 4044 – Private – 7th New Zealand Contingent – 21 Company – Auckland Section – Embarkation Date 06.04.1901 – Survived – Served 1 year and 3 days. See WW1 also. Stanaway – John Aloysius – 7849 – Trooper – 9th New Zealand Contingent – W Squadron – Embarkation Date 12.03.1902 – Survived – Served 240 days. Stanaway – Albert Alfred – 9087 – Private – 18th Reinforcements Auckland Infantry Battalion, A Company – Embarkation Date 19.04.1902 – Survived – The 10th saw no action – peace declared 4 days after their arrival in Africa. See WW1 also. Maynard – Sidney (Charles) – 23/1732 – Rifleman – 3rd Reinforcements 1st Battalion E Company – Embarkation Date 08.01.1916 – Survived – Served in Egypt and France – was wounded in the battle of the Somme – enlisted and departed with his brother. Was discharged 27.07.1919 served 3 years and 251 days. Maynard – Lionel – 23/1731 – Sergeant – 3rd Reinforcements 1st Battalion E Company – Embarkation Date 08.01.1916 – Survived – suffered at one point from shell shock – later went on to be awarded the Military Medal (MM) – Every man in his platoon, senior to himself, was shot down, he (then a corporal) took command and led the platoon to its objective. – The MM was awarded to non-commissioned officers and other ranks of the Army for acts of bravery for which the award of the Distinguished Conduct Medal (DCM) was not considered appropriate. Stanaway – Albert Alfred – 28816 – L.Corporal – 18th Reinforcements Auckland Infantry Battalion, A Company – Embarkation Date 11.10.1916 – Died of Disease – See also Boer War – We suspect he inlisted after his younger brother Charles was killed. He himself was wounded and taken prisoner, then transferred to Switzerland on a prisoner exchange – where he recovers from his wounds only to die of disease on 3 November 1918 – 8 days before the end of the war. 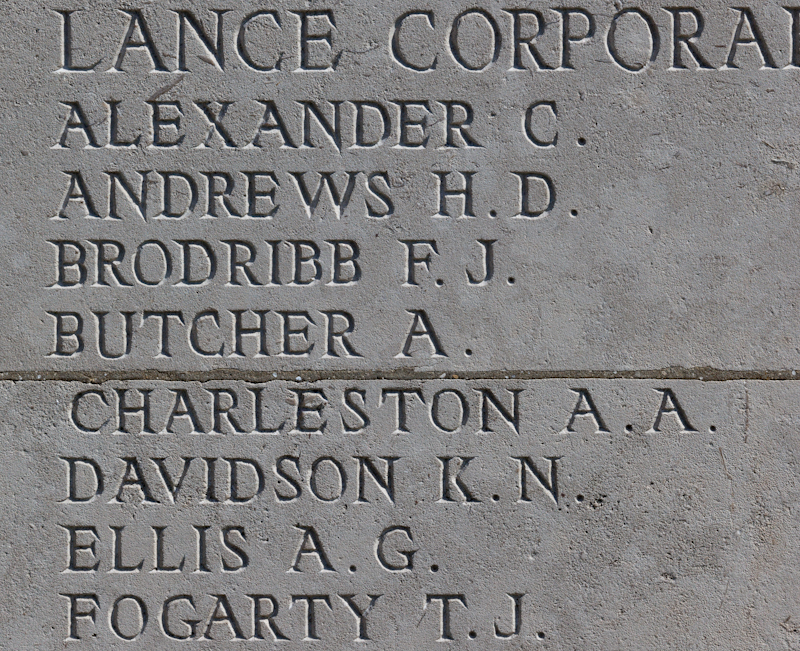 Stanaway – Alexander – 38603 – L. Corporal – Reinforcements J Company – Embarkation Date 19.01.1917 – Survived – Was wounded several times. Was almost buried alive by artillery fire at Passchendaele. He fought in France. Stanaway – Charles Victor – 12/4092 – L.Corporal – 10th Reinforcements Auckland Infantry Battalion, A Company – Embarkation Date 04.03.1916 – Dies of Wounds in the battle of the Somme on 26 September 1916. No known grave, but on the memorial at Caterpillar Valley, Somme, France. Buckworth – George – Australian Army – Signalman – Signal Squadron – Embarkation Date 1916 – Survived – Joined the Australian Army. Davidson – Karl Nilsson – 10/882 – L.Corporal – Wellington Regiment 1st Battalion (was previously with the Auckland College Rifles and then in NZTF 11th Reg Taranaki Rifles) – Embarkation Date 16.10.1914 (this places him amongst the first to enlist) – Died of Wounds – One of the first to enlist on the outbreak of war, he left with the Wellington Infantry Battalion, served in the fighting at the Suez Canal, took part in the landing on Gallipoli and remained there till after 8 August, when he was invalided to England with dysentery. He re-joined the main body in Egypt. He then landed in France in April 1916. He served there till his death in the battle of the Somme, on 16 September 1916, memorial – Caterpillar Valley, Somme, France. Davidson – Cecil Archer Laurence – 45486 – L.Corporal – Otago Regiment – E Company – Embarkation Date 26.04.1917 – Survived – Fought in France. Nelson – Lawrence Ross – 31085 – Trooper – 11th N.Z.M.R, Served 2 years and 79 days (was previously with the Wanganui College Cadets) in the Middle East – Egypt, Sinai, Palestine – Embarkation Date 5.12.1916 – Survived – discharged unfit on account of Malaria and dysentery – was also recorded in WW2 No. 802932 Territorial Force 1940-1943 – Second Lieutenant – Mounted Rifles. Waymouth – Bryant Nelson – 13/1109 – Sergeant – 1st New Zealand Machine Gun Squadron (was previously 3 years with College Rifles, and 1 and a half years A Battery, Auckland) – Embarkation Date 27.12.1915 – Survived – Served in the Middle East based out of Egypt – Served for a total of 4 years and 241 days (The longest serving Stanaway soldiers). 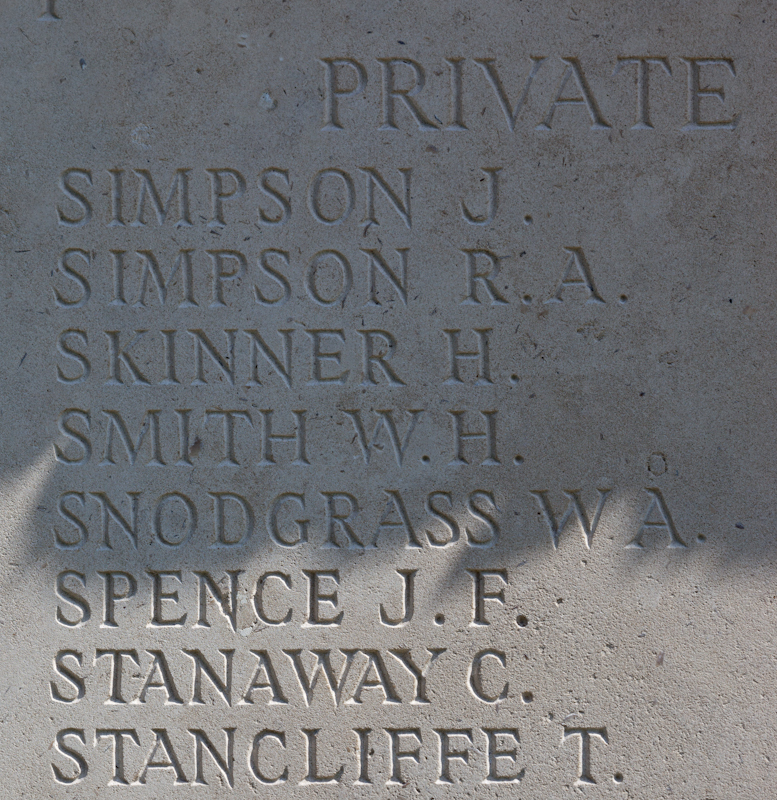 Stanaway – Harold William (John) – 86870 – Private – 48th Reinforcements – not posted overseas – Survived – Served 101 days. 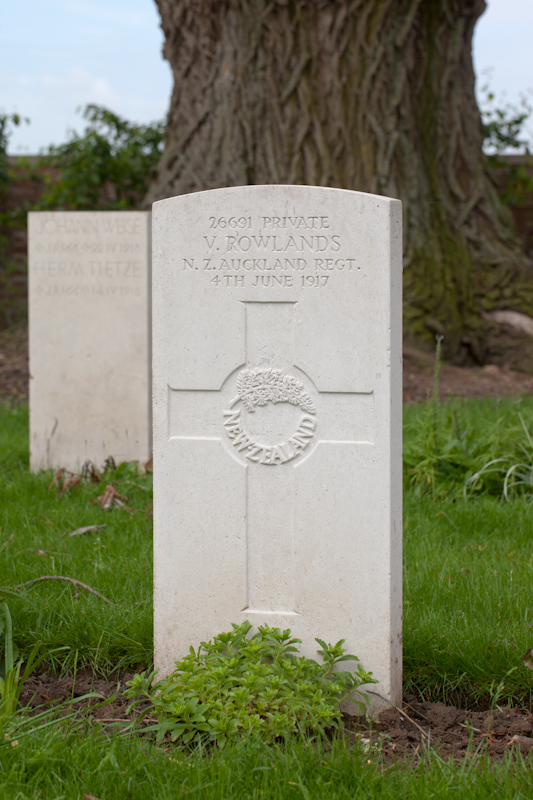 Rowlands – Vernon – 26691 – Private – 18th Reinforcements Auckland Infantry Battalion, A Company (was previously with C Coy 16 Regt.) – Embarkation Date 11.10.1916 (in the same ship as his brother below) – Died – Was killed in action in the battle of Messines, in Belgium on 4 June 1917 and is buried at La Plus Douve Farm Cemetery. Rowlands – Horace Edward – 29491 – Sergeant – 18th Reinforcements Auckland Infantry Battalion, A Company – Embarkation Date 11.10.1916 – Survived – Went overseas with his younger brother Vernon – Served 3 years and 1 day in France. Moloughney – William John – 25723 – Corporal – 17th Reinforcements, 2nd Battalion – Embarkation Date 18.11.1916 – Survived – Fought in France, was wounded in action 19 Dec 1917, served 3 years and 68 days. Moloughney – Patrick (3rd) – 48534 – Private – Not assigned to a regiment – Survived – Served only 10 days – Patrick passed the medical but an old injury to his right foot (load of bricks fell on it) caused pain during marching was discharged. Sills – Percival George – 31143 – L.Corporal – 20th Reinforcements NZEF – requested to be demoted to ranks – Embarkation Date 02.01.1917 – Survived – Served 2 years and 334 days. Corliss – Cuthbert Dorn – 11/1423 – Trooper – NZ Machine Gunn Squadron – Embarkation Date ?? – Survived – Served 2 years and 334 days – in Egypt 1915-1918 he is sent home after being wounded in action – no longer fit for war service. He stays in the army and makes the rank of Lieutenant in the Territorial Force then later the Home Guard during WW2 he retires after 15 years and 103 days service. Haslett – George Hamilton – 21262 – Sergeant – Machine Gun Corps – Embarkation Date 19.08.1916 – Survived – Served 3 years and 57 days, served in France, He was promoted from private to L.Corp (Oct 1916) to acting sergeant (May 1917) then Sergeant (Aug 1917). Parker – George Chetwyn – Lieutenant – Unattached List during the War, not deployed for action – No. 7 Garrison – Artillery Territorials – Auckland Division – (refer also Boer War) he was the cause of the “Soldiers Strike” in Auckland in 1912 which probably limited his career. He did however remain in the A.T. for almost 15 years until retirement on 18 December 1928. Morton – Graham Ricketts (Rex) – 23/2233 – Private – 29th Reinforcements, F Company Embarkation Date 15.03.1917 – Survived – Served 2 years and 48 days – in France. He is discharged on 1 May 1919 as no longer fit for service on account of illness contracted on active service and returns to New Zealand.